What makes Ideal Driving School driver training unique? Operating since 1980, Ideal Driving School has a long and strong industry track-record in equipping drivers in gaining the skills and qualifications needed in today's transportation industry. With over 25 years’ transportation industry experience, Shane is passionate about his work, and together with wife Vanessa, has owned Ideal Driving School since 2001. Mengel Training Services Pty Ltd (The Registered Training Organisation of Ideal Driving School - RTO31800) has structured formal forklift theory and practical training courses to meet the strict Work-Place Health and Safety (Qld) guidelines and the licensing compliance service requirements. Servicing Toowoomba, Dalby, and Roma. 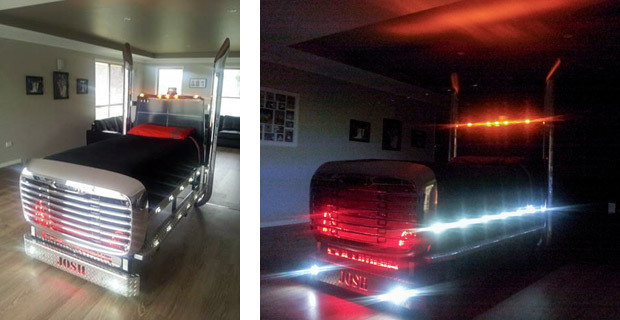 Hourly lessons in RoadRanger, (HR) Heavy Rigid & (HC) Heavy Combination. Day courses in Roadranger, (MC) Multi-combination licence upgrade courses. What makes Ideal Driving School unique? 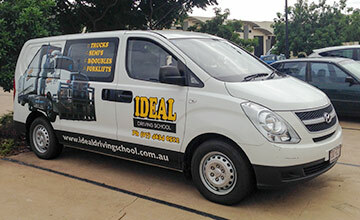 Ideal Driving School (Truck & Forklift Training) is owned and operated by Shane and Vanessa Mengel. Since 2001 they have trained hundreds of people in obtaining their first time or upgrade of their truck driving or forklift licence. Shane has been in the transportation industry for over 25 years and in that time has progressed from forklift driver to manager of several major depots in Toowoomba and the Darling Downs for National fleets. Shane holds several accredited licences and like all of the instructors holds numerous training qualifications relevant to the transport industry. He lives and breathes the business and demands that all his trucks and associated equipment (forklifts) are industry standard. Beware of what you are buying if you are shopping around for a good truck driving or forklift training facility. Verify that you are going to be trained in Industry ready vehicles. We assure you that we are and we ask that you to preview our training fleet both inside and out. Please make sure that you call us on phone 4634 0512 to get more information about our flexible booking times and learn more about the important fine details we go into when we undertake your truck driver training or forklift driver training.